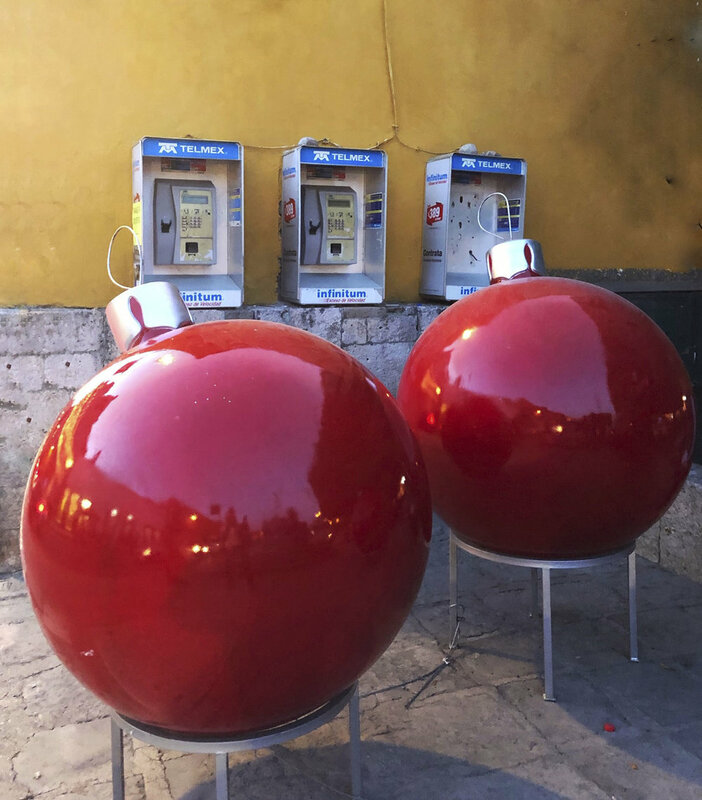 Maybe it’s simply because the color red is ubiquitous during the Christmas season, or because San Miguel de Allende, Mexico (our winter home), is imbued with warm colors from amber, peach and terra cotta walls to hot pink bougainvilleas, that inspired me to share a few cool — I mean, warm photos. “RED!!! is dedicated to this holiday season. (And just two are related to Xmas: the top and bottom.The others are from various parts of the world such as Italy, Bhutan, Cuba, the US and Mexico. Still, I can’t help but mention that the poinsettia, aka Flor de Noche Buena or Christmas Tree Flower is indigenous to Mexico. It was brought north by the first US Minister to Mexico, Joel Roberts Poinsett in 1825. Of interest from a botanical point of view is that, like trilliums, what appear to be flowers are actually leaves. All over the world, red is iconic for royalty, religion, nationalism (the most frequent color in flags), humanitarian organizations, such as the Red Cross and Red Crescent, and, perhaps most importantly, passionate love. In the West, and probably all over the world by now, we offer red roses to our loved ones on Valentines Day, while drug stores overflow with red plastic and red paper hearts. Red is particularly symbolic in Asia. Buddhist monks wear flowing red robes — or sometimes yellow depending on the region. It is the color of powerful rituals and is predominant in Tibetan paintings called thangkas. For millennia in China, it’s been a symbol of luck, happiness, wealth and joy — not necessarily in that order. Bridal dresses in China are not white but red, representing vitality and fertility. And, red is forbidden at funerals. Producing what became known in the 16th century as “carmine” for dyes and paints is a fascinating story of etymology, botany, history and commerce. These are enveloped in a certain mystery with its unusual source stemming from a insect, the cochineal, feeding on a cactus. Discovered and used by Pre-Columbians, and later coveted throughout the world for its superior quality, it was traded for centuries. For sure in Mexico and Central America it had been prized and used for tributes to nobles, priests and emperors such as Montezuma. Stemming from the cochineal insect that lives exclusively on Opuntia or prickly pear cactus, it is native to the New World. Baffled by how such a rich, saturated color could be manufactured, the Conquistadores slowly came to learn of its origin from the Mayans who had kept their “formula” a secret. In high demand in Europe and later Asia, it became the second most valued export from Mexico after silver. By the 16th century it was quoted on the London and Amsterdam Stock Exchange. Was this a tulip craze soon to collapse? No, it endured for centuries as a monopoly in Mexico, particularly Oaxaca until the advent of artificial dyes in the mid-nineteenth century. Today, it’s experiencing a resurgence due to the demand for natural and safer lipstick dyes among others while it continues to be used in high quality Oaxacan textiles and rugs. The past is alive and well in Mexico. Here, in San Miguel de Allende, Azteca dancers continue in all their regalia. (Notice the parrot head above the dancer’s face.) 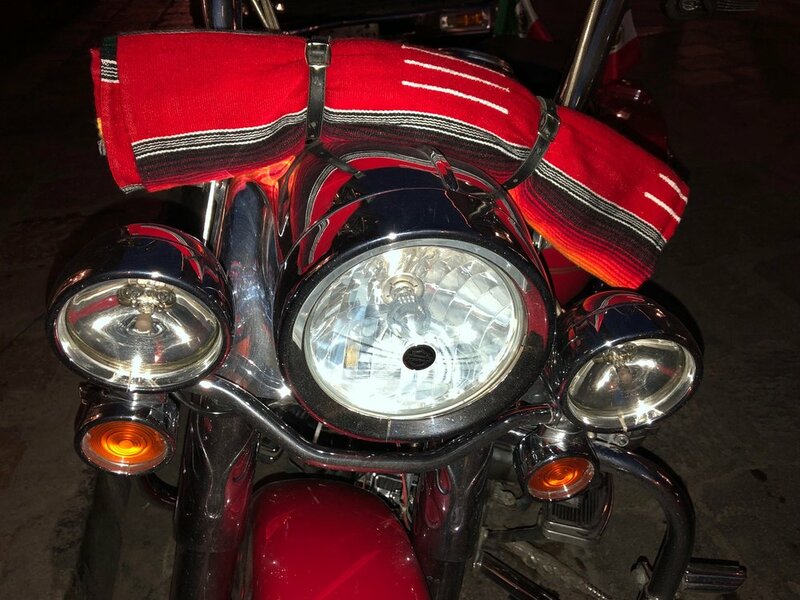 Christmas and a Harley Davison decked out with a Navaho red blanket. Join my list for new posts.